Russia and China have rejected a potential UN Security Council (UNSC) draft resolution against Syria proposed by undemocratic Arab states and backed by Western powers. The United States, the UK, and France have supported the AL plan. Russia and China, however, have expressed opposition to the draft resolution based on their concerns that it could eventually lead to military action against Syria similar to the NATO attacks on Libya in March 2011. Both countries have for the second time called for dialog to defuse the months-long unrest in the Middle Eastern nation. Earlier, Qatar's Prime Minister Sheikh Hamad bin Jassim Al Thani and AL Secretary-General Nabil al-Araby briefed the council on the Arab initiative, defending the draft resolution. Meanwhile, the US, Britain, and France held a closed-door meeting on the Syrian situation in New York. 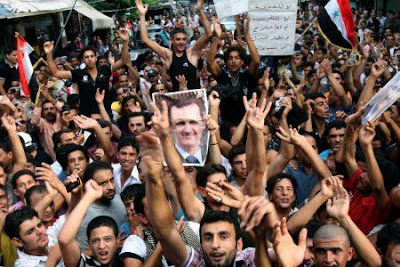 Syria has been experiencing unrest since mid-March 2011, with demonstrations being held both against and in favor of Assad. Hundreds of people, including many members of the Syrian security forces, have been killed during the violence. Damascus says over 2,000 member of the security forces have been killed since the unrest hit the country. It says 'outlaws, saboteurs, and armed terrorist groups' are responsible for the unrest, which, it says, is being orchestrated from abroad. The West and the Syrian opposition accuse the government of killing protesters. 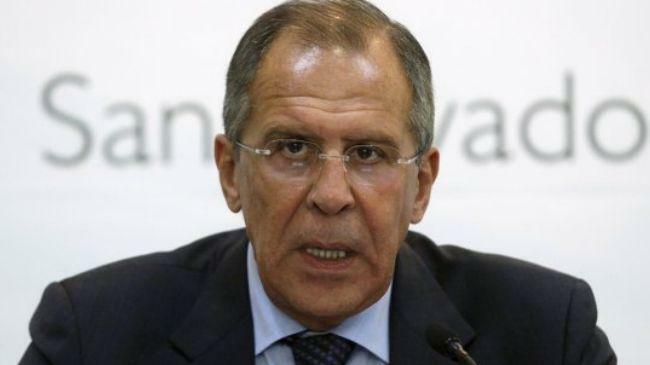 Russian Foreign Minister Sergey Lavrov has said that Russia would not allow the UN Security Council (UNSC) to push for military action against Syria, Press TV reports. Lavrov made the remarks during an interview in Sydney, Australia on Tuesday. “If the Syrian opposition refuses to sit at the negotiating table with the regime, what is the alternative? To force the regime if they demand [Syrian President] Bashar al-Assad to step down and he doesn't? Then what? To send in the aircraft to bomb Syria? We've been through that before,” he said, referring to the Western-led military intervention in Libya in March 2011. “The Security Council will never approve that, I guarantee you that,” he added and noted that Moscow would “never allow” the UNSC to legalize a Libya-style operation in Syria to defuse the unrest in the Middle Eastern country. Meanwhile, Russian Deputy Foreign Minister Gennady Gatilov has warned that any Western-backed draft UNSC resolution on Syria will pave the way for a 'civil war' in the Arab nation. Such a draft resolution on Damascus, if approved, “will not help in the search for a compromise,” Gatilov told Russian media on Tuesday. Damascus says 'outlaws, saboteurs, and armed terrorist groups' are responsible for the unrest, which, it says, is being orchestrated from abroad. 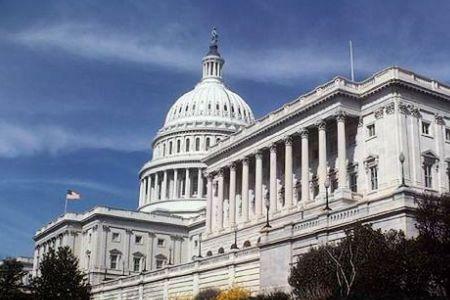 US lawmakers have drawn up a bill that would impose a new round of sanctions on Iran targeting the country's energy and telecommunications sectors. The 61-page bipartisan bill, announced by the Senate Banking Committee late on Monday, is scheduled to be put to a vote at a hearing on Thursday. If ratified, the new law would require the US government to identify officials of Iran's Islamic Revolutionary Guards Corps (IRGC) within 90 days and designate them for sanctions. 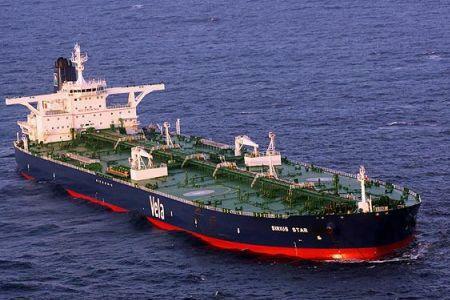 The new law would also give the US legal authority to sanction foreign companies that buy oil from the National Iranian Oil Company (NIOC), have oil shipped by the National Iranian Tanker Company (NITC), or supply Iran with telecommunications equipment. In addition, the new legislation would penalize US companies that conduct business with Iran through their foreign subsidiaries or participate in uranium mining joint ventures with Iran in other parts of the world. It would also require companies listed on US stock exchanges to disclose all their Iran-related activities to the Securities and Exchange Commission. The US, Israel, and their allies accuse Iran of pursuing a military nuclear program and have used this allegation as a pretext to convince the United Nations Security Council to impose four rounds of sanctions on Iran. On December 31, 2011, US President Barack Obama signed into law new sanctions on Iran, seeking to penalize countries importing Iran's oil or conducting transactions with the Central Bank of Iran. And on January 23, during a meeting in Brussels, European Union foreign ministers reached an agreement to ban oil imports from Iran, freeze the assets of the Central Bank of Iran across the EU, and ban sales of grains, diamonds, gold, and other precious metals to the country. 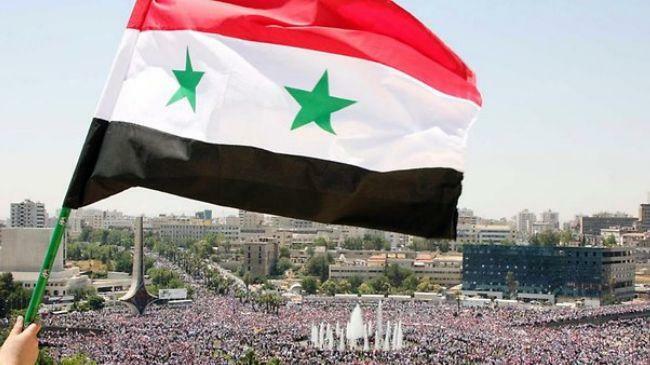 Russian Deputy Foreign Minister Gennady Gatilov says a Western-backed UN Security Council resolution on Syria will pave the way for a “civil war” in the Arab country. Gatilov told Russian media on Tuesday that a draft resolution on Syria “will not help in the search for a compromise” if it is approved. “Pushing it through is the path towards civil war,” Gatilov added. The United States, the United Kingdom and France have supported the new Arab League plan. Arab League Secretary General Nabil al-Arabi said in a statement issued on January 28 that the organization had decided to “immediately stop the work of the Arab League's mission to Syria” due to “the critical deterioration of the situation” in the country. 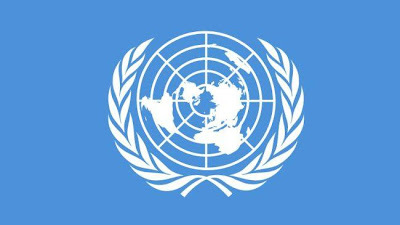 The observer mission had been in Syria since December 26, 2011 and was tasked with monitoring the implementation of the Arab League resolution to end the unrest in the country. This is not the first time Russia opposes measures against the Syrian government. On January 18, Russian Foreign Minister Sergei Lavrov said Moscow was strongly against the imposition of any sanctions against Damascus or the deployment of foreign troops in Syria. Lavrov made the remarks after the European Union planned new sanctions against Syria on the same day. Syria has been experiencing unrest since mid-March 2011, with demonstrations being held both against and in favor of President Assad. Damascus says “outlaws, saboteurs and armed terrorist groups” are responsible for the unrest, which it says is being orchestrated from abroad. In a bid to secure its last outpost in South America, the British government is to deploy its most sophisticated warship to the occupied Falkland Islands to give a clear war message to Argentina. The Ministry of Defense revealed that destroyer HMS Dauntless will sail to the South Atlantic in order to substitute frigate HMS Montrose in the coming weeks. It was claimed that the deployment was long planned but the decision is evidently put in practice when a war of words between Argentina and Britain over the disputed Falkland islands (known as Las Malvinas to Argentina) has intensified. 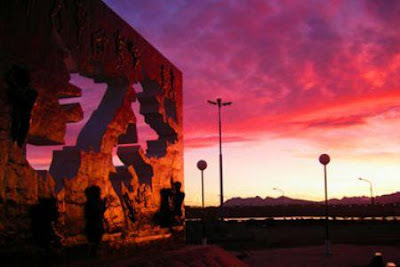 The islands, located about 250 nautical miles from Argentina, have been a British colony for over 180 years. However, Argentina also claimed sovereignty as it controlled the islands before, and the two countries fought a destructive 74-day war over the islands in 1982. As 30th anniversary of the Argentina-Britain war nears, the dispute over the territory is heating up once again. The British government is attempting to prevent any counter-move taken by Argentina to reclaim its occupied islands. 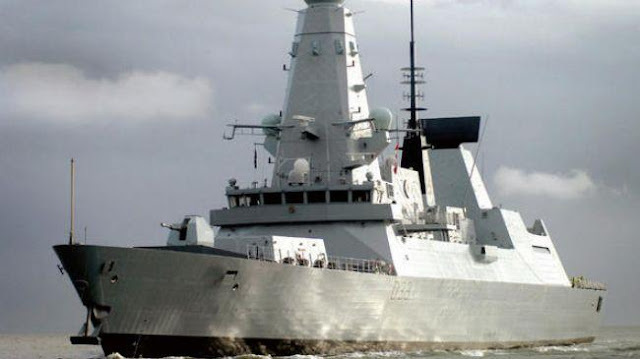 The destroyer is a £1billion warship equipped with supersonic Sea Viper missiles, radar and an air defense system, being able of shooting a cricket ball moving at three times the speed of sound out of the sky. A Navy source said that the warship could “shoot down Argentine fighters as soon as they take off from their bases," insisting the deployment would give the Argentina government “serious pause” for thinking about their claims. A US Predator unmanned drone armed with a missile sitting on the tarmac of Kandahar military airport on June 13, 2010. US President Barack Obama has acknowledged Washington's unauthorized surveillance drone operations in Iraq where the un-mandated move has sparked outrage among senior Iraqi officials and the public. "The truth is we're not engaging in a bunch of drone attacks inside Iraq. There's some surveillance to make sure that our embassy compound is protected," said Obama in a chat with web users on Google+ and YouTube on Monday. 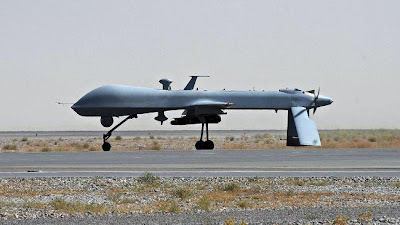 The confirmation came after The New York Times disclosed that the US State Department began operating some drones in Iraq last year on a trial basis to help protect the US embassy and that it stepped up their use after the last US troops left the country in December. "I think that there's this perception that we're just sending in a whole bunch of strikes, willy nilly," Obama said, adding, "It is important for everybody to understand that this is kept on a very tight leash." State Department spokeswoman Victoria Nuland also claimed that her department uses unmanned aerial vehicles to take pictures of US facilities and personnel abroad. Meanwhile, The Times said that senior Iraqi officials told the newspaper that the US had not consulted with Iraqi government about the drone operations and that despite the official US withdrawal from Iraq, it maintains a strong presence in the country. The daily added that since getting the approval for using surveillance drone aircraft over Iraq might be hard, given the political tensions between the two countries, the US continues drone operations in the country without a formal approval from Iraq. It also said that Washington plans to take bids for the management of drone operations in Iraq over the next five years. Turkey has defied Western calls to ban Iranian crude imports, saying Ankara will not go along with the EU and US sanctions on Iranian oil. On Sunday, Turkish Foreign Minister Ahmet Davutoglu ruled out the possibility of Ankara complying with the unilateral sanctions imposed on the Islamic Republic, saying Turkey is currently trying to facilitate talks between Tehran and Western nations on Iran's nuclear program. 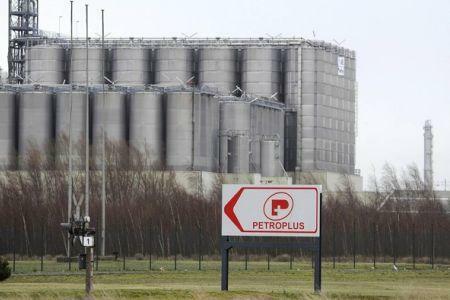 Turkey imports a significant amount of Iranian oil for its biggest petrochemical company, Tupras, which operates four refineries with a total of 28.1 million tons of annual crude oil processing capacity. 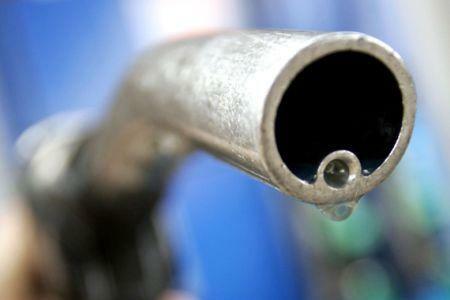 Russia, India, and China have also criticized the West's sanctions on Iranian crude. On December 31, 2011, US President Barack Obama signed into law new sanctions on Iran and announced that the United States would begin penalizing other countries for importing Iranian oil or conducting transactions with the country's central bank. European Union ministers reached an agreement on January 23 to ban oil imports from Iran, freeze the assets of the Central Bank of Iran within the bloc, and ban the sale of diamonds, gold, and other precious metals to Iran. US Defense Secretary Leon Panetta has once again threatened Iran with a military strike against the country's nuclear facilities despite the IAEA inspectors visiting Iran. "There are no options that are off the table," he made the comment on the CBS when asked if military action was being contemplated about Iran. The war rhetoric by the Pentagon chief comes as a delegation of the International Atomic Energy Agency arrived in Tehran on Sunday to visit Iran's nuclear facilities. Iran's Foreign Minister Ali Akbar Salehi said Tehran is optimistic about the results of the group's mission. 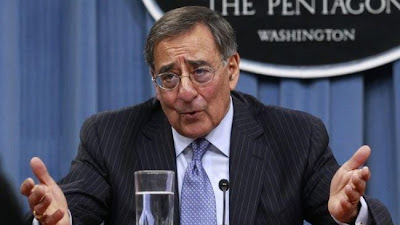 Panetta also predicted that Iranians could develop a nuclear weapon within about one year "if they decided to do it." He added that it would probably take Iran another two to three years to produce a missile or other vehicle that could deliver the weapon to a target. 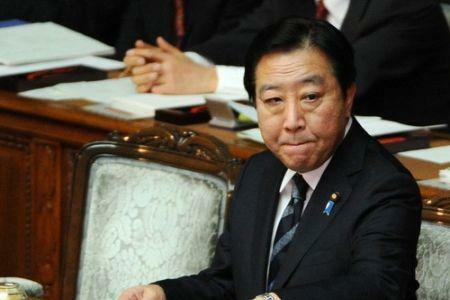 "If they proceed and we get intelligence that they're proceeding with developing a nuclear weapon, then we will take whatever steps are necessary to stop it," he warned. In November 2011, IAEA Director General Yukiya Amano released a report claiming that Iran was engaged in activities aimed at developing nuclear weapons. Tehran has rejected the report as "unbalanced, unprofessional and prepared with political motivation and under political pressure by mostly the United States." The US and Israel have repeatedly threatened Tehran with the "option" of a military strike, based on the allegation that Iran's nuclear program may include a covert military aspect, a claim strongly rejected by Tehran. The IAEA delegation headed by Herman Nackaerts previously traveled Iran in August 2011 and visited Natanz and Fordo nuclear facilities as well as the fuel production plant in Isfahan, the Bushehr power plant, and the heavy water research reactor in Arak among other sites. Despite Iran's transparency in dealing with the IAEA team, Nackaerts prepared an anti-Iran report in November 2011, which echoed baseless US allegations. Nackaerts violated the UN nuclear agency's regulations by providing data such as Iran-IAEA official letters, and satellite images of a military base in Tehran's Parchin district, to the IAEA Board of Governors and Reuters. Russia says it will not support a Western-backed UN resolution against Syria, describing the new proposal similar to the one Moscow vetoed in October. Russian deputy foreign minister Gennady Gatilov said on Monday that Moscow will oppose any Security Council resolution that justifies sanctions or the use of force against Syria. "The current Western draft has not gone too far from the October version, and, certainly, cannot be supported by us," Gennady Gatilov told Interfax news agency ahead of the UNSC debate over the latest Western-backed proposal on Syria unrest. He also described the new draft resolution as vague and "not balanced", adding that it "leaves open the possibility of intervention in Syrian affairs." The draft proposed by the US, its Western allies as well as the Arab League, calls on Syrian President Bashar al-Assad to step down. "The draft has statements in it calling on the member states to stop arms deliveries to Syria, but there is no clear line between arms contraband that some countries engage in to support extremist forces in Syria, and the legal military-technical ties with this country," Russian deputy foreign minister said. Russia, a veto-wielding permanent member of the UN Security Council, has repeatedly said that negotiation is the only way to end months of unrest in Syria not UN resolutions and sanctions. 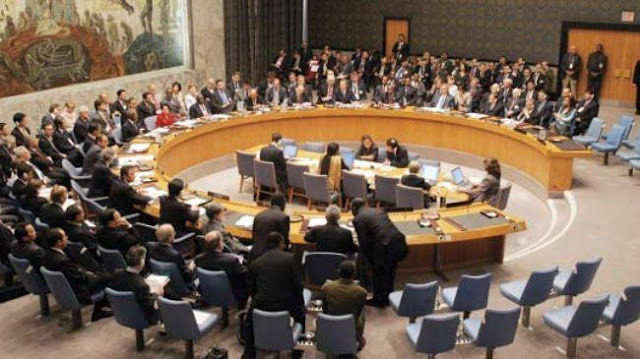 In October, Russia and China blocked a European-drafted Security Council resolution against the Syrian government. Russia has also rejected a recent call by the Arab League for Syrian President Assad to step down. The German Foreign Minister has called on Iran to show restraint after Tehran threatened member states of the European Union with an immediate cutoff of oil exports to the bloc. 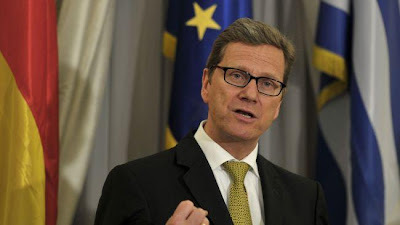 In an interview with Welt am Sonntag newspaper, Guido Westerwelle claimed that the crisis-hit EU would not allow Iran to push it into a corner with a potential cut in oil supplies. During their latest meeting in Brussels on January 23, EU foreign ministers reached an agreement to ban oil imports from Iran, freeze the country's central bank's assets within EU, and ban sales of diamonds, gold and other precious metals to Iran. While EU sanctions will enter into force after a delay of six months, Iranian lawmakers are considering a plan to enforce an immediate ban on all oil exports to European countries. Referring to escalating rhetoric between Iran and EU, the German Foreign Minister added that Iranian leaders hold "the key to reducing tensions in their hands." "We will find ways in the EU to compensate for delivery stoppages," he said. The EU imported some 600,000 barrels per day of Iranian oil in the first 10 months of last year -- equivalent to nearly 20 percent of Iran's exports. Some EU members are seeking grace periods of between one and 12 months to allow them to find alternative supplies. Greece, which depends heavily on Iranian crude, is pushing for the longest delay while Britain, France, the Netherlands and Germany say they need a maximum period of three months. The United States, Israel and their European allies accuse Tehran of pursuing military objectives in its nuclear program and have used this pretext to impose four rounds of international and a series of unilateral sanctions against the Islamic Republic. Iran's Oil Minister Rostam Qasemi says the Islamic Republic will soon stop crude oil exports to certain countries in the wake of the European Union's decision to ban imports of oil from Iran. Speaking to reporters after a cabinet meeting in the capital Tehran on Sunday, Qasemi said less than 20 percent of Iran's crude oil is currently being exported to Europe and that Iran has no problem in selling its oil to a market other than the EU. Managing Director of the National Iranian Oil Company (NIOC) Ahmad Qalebani said Sunday crude oil prices could reach USD150 a barrel in the aftermath of the EU sanctions on Iran's oil exports. He said global economic and business blocs will experience tremendous shocks because of the embargo on Tehran and the West will suffer the most from the measure. Meanwhile, Majlis is due to debate a bill this week that would cut off oil supplies to the EU in a matter of days, in response to the 27-member bloc's decision to stop importing crude oil from Iran as of July. European Union foreign ministers agreed to ban oil imports from Iran on January 23 and to freeze the assets of the Iranian Central Bank across the EU. The European Union also imposed a ban on the sale of grains, gold, diamonds, and other precious metals to Iran. EU Foreign Policy Chief Catherine Ashton said the sanctions are aimed at pressuring Iran to return to talks over the nuclear program. The embargo followed an earlier announcement by Ashton, who said the P5+1 group -- comprising the US, the UK, Russia, France, China and Germany -- was ready to resume nuclear talks with Iran. Russian foreign ministry described the Iranian oil embargo as a "deeply mistaken" move, which would not encourage Tehran to return to the negotiating table. India has refused to bow to Washington's pressure on Delhi to cut its energy ties with Tehran, saying it will continue to buy Iranian oil despite US and EU sanctions. 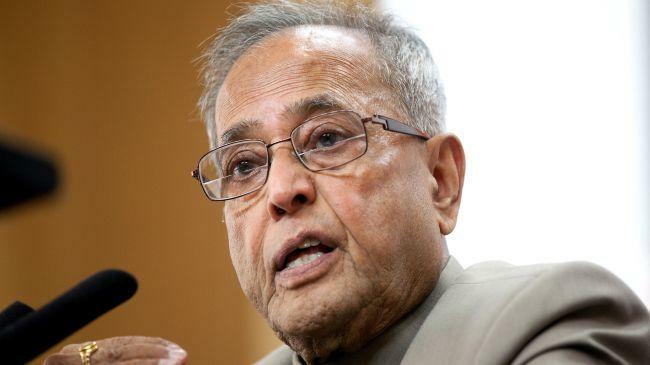 Indian Finance Minister Pranab Mukherjee made the remarks at the end of a two-day visit to Chicago on Sunday. "It is not possible for India to take any decision to reduce the imports from Iran drastically, because among the countries which can provide the requirement of the emerging economies, Iran is an important country amongst them," the Indian finance minister said. India, the world's fourth-largest petroleum consumer, is Iran's second largest oil customer after China and purchases around $12 billion worth of Iranian crude every year, about 12 percent of its consumption. On December 31, 2011, US President Barack Obama signed into law new sanctions against Tehran, seeking to penalize countries importing Iran's oil or doing transaction with Islamic Republic's Central Bank. Also during their meeting in Brussels on January 23, EU foreign ministers reached an agreement to ban oil imports from Iran, freeze the assets of Iranian Central Bank across the EU, and ban sales of grains, diamonds, gold and other precious metals to the country. Washington has been trying to persuade emerging economies in Asia -- Iran's biggest oil market -- to cut imports of petroleum from the country. Both India and China have voiced opposition to the sanctions. A senior Iranian oil official says the price of crude could reach USD150 a barrel in the aftermath of new sanctions imposed by the European Union on Iranian oil imports. Managing Director of the National Iranian Oil Company (NIOC) Ahmad Qalebani said Sunday the miscalculated and hardline EU stance on Iran will compel other countries to lose their confidence in the 27-member bloc as a reliable business partner, and seek to forge economic relations with those states, which value stable business ties the most. He added that global economic and business blocs will experience tremendous shocks from the EU oil embargo on Tehran, stressing that the West will suffer the most from such a measure. Qalebani highlighted that Iran, given its rich energy resources, has the upper hand over European states should the latter seek to further politicize the energy issue. The sale of some 18 percent of Iranian oil to a market other than the EU is potentially possible. However, Iran's long-term idea is to increase refining capacities to produce valuable products, Iran's deputy oil minister said. Qalebani pointed out that countries like China, India and South Korea place national interests before engagement in political games, and view Iran -- OPEC's second largest producer - as a dependable energy supplier. He said more than 70 percent of Iran's crude oil is currently being sold on the Asian market. The NIOC managing director stated that neither heavy nor light Saudi crude oil can compensate for Iranian oil exports in case sanctions against Iran's oil sector are enacted. European Union foreign ministers agreed to ban oil imports from Iran on January 23, and to freeze the assets of the Iranian Central Bank across the EU. The Russian foreign ministry described the Iranian oil embargo as a "deeply mistaken" move, which would not encourage Tehran to return to the negotiating table. Pakistani religious and political leaders say they will not let Islamabad reopen Pakistan's crossings to NATO's supply trucks, closed after the US forces with the alliance conducted a deadly attack against the country. 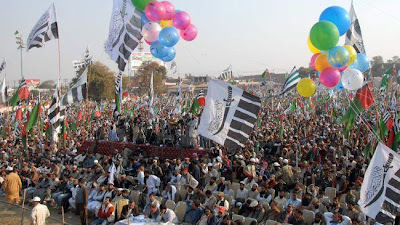 The leaders made the announcement on Sunday during a massive anti-US demonstration arranged by the Defense of Pakistan Council, which is an alliance of 40 religious and political parties, in the city of Multan, about 400 kilometers southwest of the capital Islamabad. Attending the demonstration, thousands of people from different religious and political groups condemned Washington's policies and its non-UN-sanctioned drone strikes on Pakistan's tribal region. Islamabad stopped the supply convoys destined for the 130,000-strong US-led force deployed in Afghanistan in response to NATO airstrikes on November 26 that killed 24 Pakistani soldiers at two checkpoints on the Afghan border. According to reports, Pakistan's parliament is likely to approve reopening of the supply routes to NATO on the condition that the Western military alliance pays heavy tariffs. Speaking during the rally, the chief of Jamaat-e-Islami, Pakistan's largest religious political party, said that any resolution submitted in parliament favoring the reopening of the routes would be a step to the detriment of the country. In a reference to the clandestine activities of the CIA and Israel's spy agency, Mossad, in Pakistan, Munawar Hassan said that international spy agencies were involved in terrorist incidents in the country. He also stated it was time that Islamabad detached itself from Washington and its harmful policies for the region. The head of Jamiat Ulema-e-Islam-Sami, another large religious political party in Pakistan, told the participants in the rally that if “the US, Israel, India or NATO forces” attacked Pakistan's border again, members of his party would retaliate against them with full force. A leader of a religious movement warned the government that if it decided to reopen the routes, his group's members would block the passageways themselves. Former chief of Pakistan's Inter-Services Intelligence (ISI), Hameed Gul, also said that renewed flow of the supplies to the US-led forces would expose Pakistan to potential dangers. A British senior military figure says Britain would not be able to confront Argentina over Las Malvinas, sending a clear signal to British officials to stop boasting of UK's military capability. Former head of the British army General Sir Michael Jackson said that it would be impossible for the British military to confront Argentina in case a military confrontation takes place over the sovereignty of the Malvinas islands. “What if an Argentinean force was able to secure the Mount Pleasant airfield? Then our ability to recover the islands now would be just about impossible,” said Jackson in an interview with the Sunday Telegraph. Jackson's comments came after Britain's Minister for International Security Strategy Gerald Howarth accused Argentina of “sabre-rattling” threatening Buenos Aires with a military response. The comments were a response to Argentinean President Christina Fernandez who hit out at British Prime Minister David Cameron for accusing her country of colonialism. “In this upside down world, in my absence I've heard they were calling as colonialists,” said Fernandez. However, Fernandez underlined the importance of diplomacy and negotiations over the disputed islands as she promised the Argentinean people to rigorously work and have Britain sit at the table of negotiation. “We will continue claiming our Islands with far more political, juridical, and diplomatic rigour and with the so many supports that we are receiving. But it's good to remember that this is not an overnight achievement, it has taken years,” said Fernandez. Proud of their victory in the 74-day war in 1982, British officials have been provocative as the country's Ministry of Defence announced a contingency plan to increase their military presence on the island. Moreover, Duke of Cambridge Prince William is supposed to spend six weeks on the islands as a search-and-rescue co-pilot. Despite the provocative line taken up by Britain, its military capability has been seriously questioned as the Harrier fleet, Britain's aircraft carriers that secured her victory in 1982, is sold to the US Marine Corps. Japanese Prime Minister Yoshihiko Noda has urged the eurozone countries to restrain their debt crisis quickly, calling the crisis the biggest threat to global economy. "It is indeed the major source of risks for the global economy," Noda said, speaking via video link from Tokyo to Davos forum in Switzerland. "Within the eurozone there should be major steps to alleviate the concerns of the international community and the markets," he added. The prime minister said that his country "stands ready to support the European efforts as much as possible," recalling that Japan has contributed to the European Financial Stability Facility. Noda warned that European nations would face a long struggle to regain market credibility. Europe is battling a debt crisis that so far has prompted two international credit rating agencies to cut the ratings of at least five of its members including Italy, Spain and the second largest EU economy, France, which lost its triple-A credit rating. 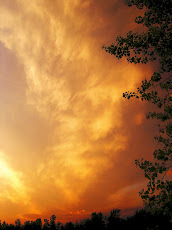 "Once the credibility of a nation is lost there is no way to get it back easily. 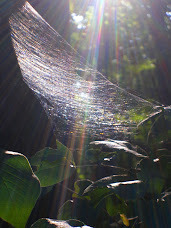 The European debt crisis is a clear case in point," Noda added. There are fears that more delays in resolving the eurozone debt crisis, which began in Greece in late 2009 and infected Italy, Spain and France last year, could push not only Europe but also much of the rest of the developed world back into recession. The five-day conference in Davos, which began on Wednesday, focuses on issues such as the European debt crisis, financial instability in the West, social unrest and rising inflation. Some 2,500 political and business leaders from around the world including 35 heads-of-state are attending the annual meeting. Iranian lawmakers aim to ban all oil exports to European countries in response to the oil ban against Iran. An Iranian lawmaker says the Majlis (parliament) Energy Committee has finalized a draft bill to stop the country's oil exports to EU member states in reaction to the bloc's recent decision to ban oil imports from Iran. 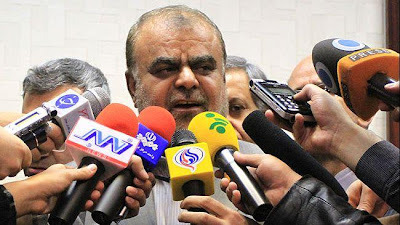 Nasser Soudani, deputy chairman of the committee, said on Saturday that the double-urgency bill for halting Iran oil exports to Europe had been finalized in four clauses. “According to one of the main clauses, the Islamic Republic of Iran will halt all oil exports to European countries as long as they continue to ban oil imports from Iran,” he added. The lawmaker said the bill may undergo further modifications as some Iranian parliamentarians believe that oil exports to EU should be stopped for five years. “Another clause obliges the government to forbid imports of all goods from countries which have imposed sanctions on our country,” he added. 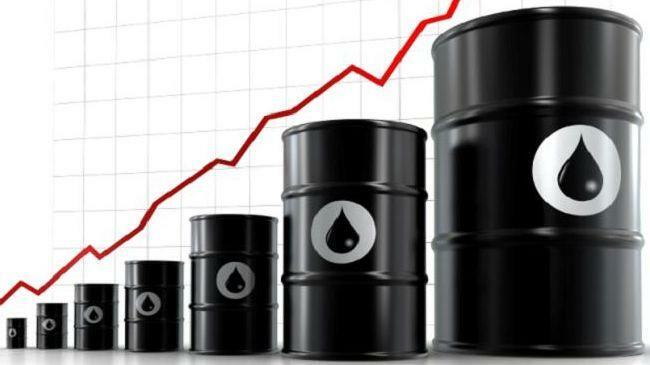 Soudani announced on January 25 that in reaction to EU sanctions against Iran's oil sector and central bank, Iranian lawmakers were drafting a new law to stop oil supply to European countries. EU foreign policy chief, Catherine Ashton, claimed that the new sanctions aim to bring Iran back to negotiations with P5+1 -- US, UK, France, Russia, China and Germany - over the country's peaceful nuclear program. 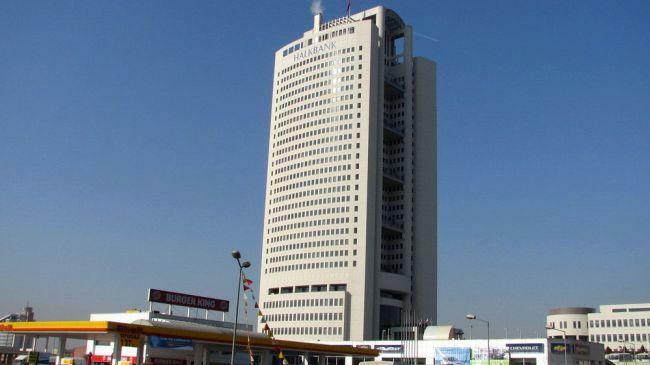 Turkey's Halkbank has announced that it will continue to handle customer oil payments to Iran as long as they comply with international regulations. Halkbank has been used by Iran and its oil customers as a main conduit for financial transactions. The bank's dealings with Iran drew attention last year when Indian refiners disclosed they were channeling oil payments through the Turkish bank as their own central bank had shut its payment facility, fearing US retribution. Speaking to Reuters, Halkbank's General Manager, Suleyman Aslan, said the bank also processes the payments to Iran via Tupras, Turkey's sole refiner and a unit of Koc Holding, the country's largest conglomerate. The official further stressed that a decision to reject an application submitted by the Indian refiner Bharat Petroleum Corp BPCL in December 2011, was unrelated to its trade deals with Iran. "We do not make any specific decision based on Iran or any other country. We have customers, and these customers approach us and we look at their transactions. 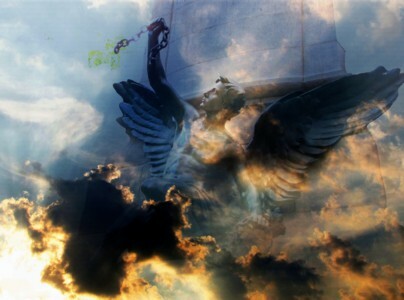 This transaction may be in India, it may be in Iran it may be in another country," Aslan said. He went on to say that the communication channels "with all sides, including the United States," were open and that apart from India, the bank was not handling payments to Iran from other third countries. "If it is legitimate business, we will carry out the job within the framework of international regulations and international standard practice." On Dec. 31, President Barack Obama signed into law a fresh set of sanctions targeting financial institutions that deal with Iran's Central Bank to stem the flow of oil revenue. Turkish officials have repeatedly said there is no obligation for Turkey to enforce tougher unilateral sanctions subsequently announced by the United States and European Union. The head of Italy's refiners' lobby says the European Union (EU) embargo on the Iranian oil sector will lead to a speedy closure of about 70 European refineries. “Italy already risks the closure of five refineries and at a European level we're talking about 70 possible shutdowns,” Piero De Simone, general manager of Unione Petrolifera, told Bloomberg. He expressed concern over the unilateral sanctions on the Islamic Republic, saying the embargo will help the Asian oil importers will thus be more powerful to undercut their European competitors. "Asian countries not applying the embargo could buy the Iranian oil at a discount and sell cheap refined products back to us," Piero De Simone said. The Iranians will have to unload their production somewhere and “I'm sure they'll find buyers,” he said. In their latest meeting in Brussels on January 23, EU foreign ministers imposed new sanctions on Iran which include a ban on purchasing oil from the country, a freeze on the assets of Iran's Central Bank within the EU, and a ban on the sale of diamonds, gold and other precious metals to Iran. War planners at the Pentagon are stepping up efforts to make the largest conventional bomb more powerful in order to use against Iranian nuclear facilities. The 30,000-pound "bunker buster" bomb, known as the Massive Ordnance Penetrator, was specifically designed to take out the facilities built by Iran deep underground for its nuclear program, The Wall Street Journal reported on Saturday. 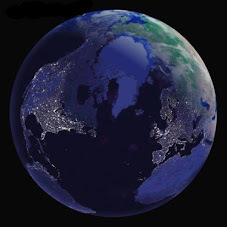 However, initial tests showed that the earth-penetrating weapon, which is built by Boeing Co., was not capable to destroy Iran's underground compounds, either because of their depth or because new fortifications prevent any harm to them. The findings prompted the Pentagon to submit a clandestine request to the Congress this month, urging more fund to increase the penetrative force of the bomb into rock, concrete and steel before explosion. American officials say the push for a more bunker buster bomb is part of the contingency planning for a possible strike against Iran's nuclear installations. The US Defense Department has spent about USD330 million so far to develop about 20 Massive Ordnance Penetrators. The Pentagon is seeking about USD82 million more to enhance the bomb's penetration ability. Meanwhile, the UN Security Council -- under pressure from Washington and Tel Aviv -- has imposed four rounds of sanctions against Iran. The United States and the European Union have also adopted unilateral measures against the Islamic Republic in an effort to deter Western investment in Iran's energy sector. The IAEA has conducted numerous inspections of Iran's nuclear facilities but has never found any evidence indicating that Tehran's civilian nuclear program has been diverted to nuclear weapons production. 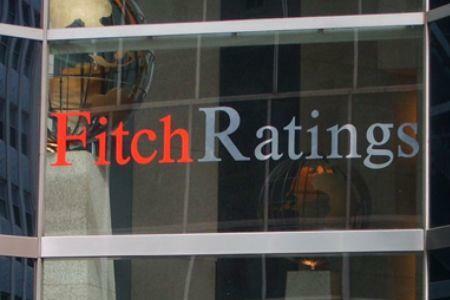 Fitch rating agency has downgraded the debt ratings of five eurozone states including Spain and Italy, pointing to the growing vulnerability of their economies. On Friday, Fitch downgraded the economies of Italy, Spain, Belgium, Slovenia and Cyprus, while cutting its outlook on Ireland. According to the agency, “near-term economic outlook highlight(s) the greater vulnerability to monetary as well as financing shocks faced by these sovereign governments." Fitch cited that Italy faced “too-low” growth in comparison with its debt, while Spain faces "a significantly worsened fiscal and economic outlook." Italy, Spain, and Slovenia were cut by two notches. Earlier, the European Central Bank released eurozone data suggesting that loans to the private sector fell by 1.0 percent in December in comparison with the 1.7 percent in the previous month. Meanwhile, Spain's unemployment rate has soared to 22.85 percent-- the highest in 17 years as more than half of the country's youths remain without jobs. 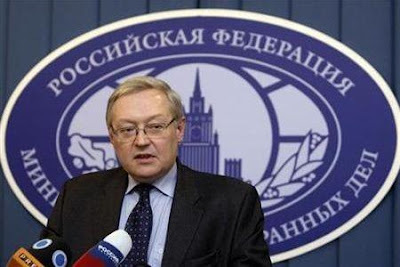 Russia's deputy Foreign Minister Sergei Ryabkov has lashed out at the unilateral sanctions by Western countries against Iran's oil industry, describing the policy as ineffective. The Russian official went on to say that stepping up anti-Iran pressure “gets nowhere,” stressing that negotiation is the only opportunity to resolve dispute over Tehran's nuclear program. In a statement issued on January 20, EU's foreign policy chief Catherine Ashton announced that the P5+1 -- the US, the UK, France, China, Russia, and Germany -- is ready to resume talks with Iran. The last round of nuclear talks between Iran and the P5+1 was held in Turkish city of Istanbul in January 2011. Russia has repeatedly criticized the International Atomic Energy Agency for its November report. The IAEA report accused Iran of conducting activities related to developing nuclear weapons before 2003, adding that these activities "may still be ongoing." Iran, however, dismissed the allegation as "unbalanced, unprofessional and prepared with political motivation and under political pressure mostly by the US." Ryabkov emphasized that P5+1 talks were fruitless, "because some members of this group have no clear understanding about the point that nobody would tolerate sanctions." EU foreign ministers reached an agreement on January 23 to impose an immediate ban on oil imports from Iran over the country's nuclear program as of July 1. The 27-member bloc agreed to ban oil imports as well as petroleum products from the major OPEC member state and freeze the assets of the Central Bank of Iran across the EU. The EU also imposed a ban on the sale of diamonds, gold and other precious metals to Iran. Following the EU-sponsored sanctions on Tehran, Tel Aviv has called for tougher sanctions against Iran's oil and banking sector in order to force the country into abandoning its peaceful nuclear program. 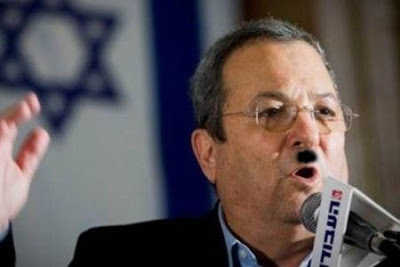 "We are determined to prevent Iran from turning nuclear,” Israeli Defense Minister Ehud Barak told reporters during the annual meeting of the World Economic Forum on Friday. The US, Israel and their allies have been accusing Iran of pursuing a military nuclear program, and have used the allegation to impose four rounds of UN Security Council sanctions and more unilateral measures against the Islamic Republic. Iran has categorically refuted the US-led allegations regarding its nuclear program, saying that as a signatory to the nuclear Non-Proliferation Treaty and a member state of the International Atomic Energy Agency (IAEA), it has the right to develop and acquire nuclear technology for peaceful purposes. “Even the American president and opinion leaders have said that no option should be removed from the table and Iran should be blocked from turning nuclear," the Israeli official added. Barak also added that "It seems to us to be urgent, because the Iranians are deliberately drifting into what we call an immunity zone where practically no surgical operation could block them." Earlier this week Israeli President Shimon Peres hailed the EU move to impose an oil embargo on Iran, expressing hope that it would "really bear fruit" with regard to Tehran's nuclear program. Foreign ministers of the European Union reached an agreement on January 23 to impose sanctions on Iran's oil imports and freeze the assets of the Central Bank of Iran. EU foreign policy chief Catherine Ashton said the sanctions were aimed at pressuring Iran to return to talks over the nuclear program. Iran could halt its oil exports to Europe as early as next week. A senior Iranian lawmaker says Majlis (parliament) will discuss a bill in the coming week which seeks to cut off Iran's oil exports to Europe. Deputy head of the Majlis National Security and Foreign Policy Committee Hossein Ebrahimi said on Friday that Iranian lawmakers would debate a “double-urgency” bill on Sunday which calls for the ban of oil exports to Europe as early as next week. The move comes after EU foreign ministers reached an agreement in Brussels on Monday to impose sanctions on oil imports from Iran as of July 1. The sanctions involve an immediate ban on all new oil contracts with the Islamic Republic and freezing the assets of the Central Bank of Iran (CBI) within the EU. The Majlis motion would deny Europe the six-month phase-in period that the bloc has considered to adjust and find alternative sources to Iran's crude. The recent EU sanctions on Iranian oil are merely a “psychological warfare,” as the 27-member bloc is delaying the implementation of the embargoes under various pretexts, Ebrahimi added. “Europe is uncertain about enforcing these sanctions and seeks to project [its own woes] and manipulate public opinion,” the lawmaker said. The EU accounted for 18 percent of Iranian crude oil sales in the first half of 2011, according to the US Energy Information Administration (EIA), making it Iran's second biggest customer after China. The EU sanctions came after US President Barack Obama signed into law fresh unilateral economic embargoes against the Central Bank of Iran on New Year's Eve in an apparent bid to punish foreign companies and banks that do business with the Iranian financial institution. The bill ultimately takes aim at Iran's oil revenue. 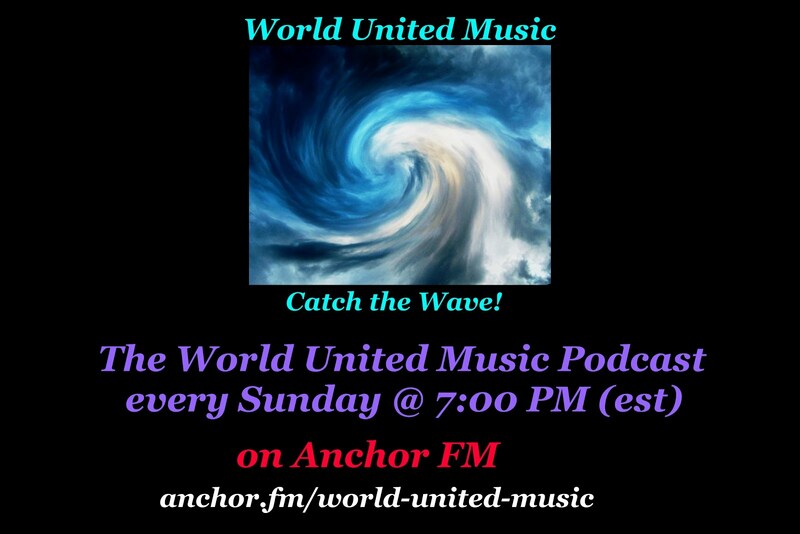 The United States, Israel and some of their allies accuse Tehran of pursuing military objectives in its nuclear program and have used this pretext to push for the imposition of four rounds of UN sanctions and a series of unilateral embargoes against the Islamic Republic. Iran has refuted the allegations, arguing that as a signatory to the nuclear Non-Proliferation Treaty and a member of the International Atomic Energy Agency, it is entitled to use nuclear technology for peaceful use. An Iranian lawmaker says entering into oil war with Iran will bring European Union member states to their knees as Tehran will prevent the export of even one drop of oil. 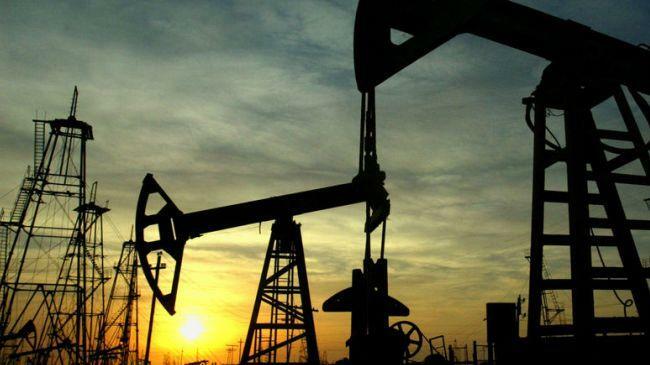 “The Islamic Republic of Iran has the world's third biggest oil reserves and cannot be eliminated from global energy equations,” Seyyed Emad Hosseini, spokesman for the Majlis (parliament) Energy Commission, said on Friday. The lawmaker said playing with the world's third biggest oil power will certainly affect international oil and gas transactions and Europe will not be immune from oil price fluctuations. He stated that the Iranian Majlis is considering a plan to completely stop oil exports to EU members which will initially paralyze the economies of Italy, Spain and Greece. “Iran is powerful [as a country] and oil sanctions imposed by European countries will only harm the European Union because Iran can easily prove its oil supremacy in the Middle East region,” he said. Hosseini added that Europe will definitely lose its oil war with Iran because European countries are grappling with numerous domestic challenges and disruption of Iran oil flow will lead to the escalation of domestic pressure and crisis in EU member states. During their latest meeting in Brussels on Monday, January 23, EU foreign ministers reached an agreement to ban oil imports from Iran, freeze the country's central bank's assets within EU, and ban sales of diamonds, gold and other precious metals to Iran. EU foreign policy chief, Catherine Ashton, claimed that the new sanctions aim to bring Iran back to negotiations with P5+1 -- US, UK, France, Russia, China and Germany -- over the country's peaceful nuclear program. The United States, Israel and their European allies accuse Tehran of pursuing military objectives in its nuclear program and have used this pretext to impose four rounds of sanctions and a series of unilateral sanctions against the Islamic Republic. The United States has urged Pakistan to abandon the Iran-Pakistan (IP) gas pipeline project promising Washington will help Islamabad with the consequences of the decision. Spokeswoman of the US State Department Victoria Nuland said on Friday that Pakistan was “one of the countries that we're working with, primarily from the US Embassy," to stop buying gas from Iran. 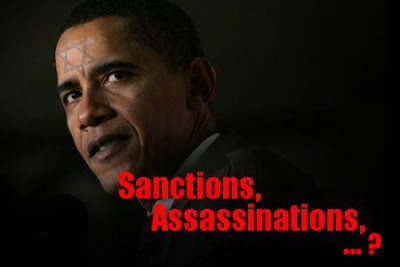 On December 31, 2011, US President Barack Obama signed into law new sanctions against Iran, which seek to penalize foreign institutions that do business with Iran's central bank and oil sector. "We're talking to countries around the world about the implications of this legislation and our efforts to cut global dependence on Iran," Nuland added. Asked if Washington is encouraging Pakistan to buy cheaper gas from US companies, she said, "I don't have anything specific on where those conversations are leading, but we are talking about all kinds of diversification." An article published by the International Herald Tribune on Wednesday noted that Washington is trying to lure Islamabad away from the Iran-Pakistan gas pipeline project by offering cheaper gas to the country. The article added that the US has stepped up efforts to lobby Pakistan to abandon not only the IP gas pipeline project, but also liquefied natural gas (LNG) purchases from its western neighbor in return for cheaper gas from US. Pakistan's Foreign Office announced on Thursday that the gas pipeline project between the country and Iran did not come under the sanctions imposed on Tehran because of its nuclear program. "Pakistan is committed to the Pak-Iran gas pipeline and sanctions do not cover this project," Foreign Office Spokesman Abdul Basit added. The multi-billion-dollar Iran-Pakistan gas pipeline aims to export a daily amount of 21.5 million cubic meters (or 8.7 billion cubic meters per year) of Iranian natural gas to Pakistan. 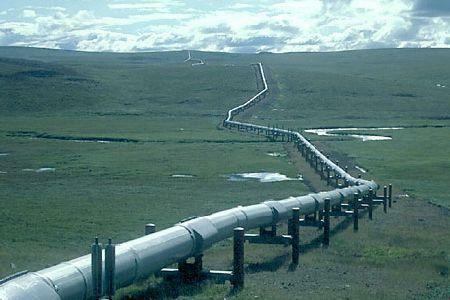 Maximum daily gas transfer capacity of the 56-inch pipeline which runs over 900 km of Iran's soil from Asalouyeh in Bushehr Province to the city of Iranshahr in Sistan and Baluchestan Province has been given at 110 million cubic meters. Washington's double-edged sword of policies towards the Islamic Republic is not only exhausting the patience of the Iranian nation but it is provoking the ire of international conscience as well. Goaded by Washington, EU foreign ministers decided on January 23 to impose a ban on oil imports from Iran under the fickle excuse that the country is pursuing a clandestine nuclear weapons program. In a recent stance, Iran has threatened that it would never let a situation prevail where regional states could sell their oil while Iran couldn't. Ali Akbar Velayati, senior adviser to the Leader of the Islamic Revolution Ayatollah Seyyed Ali Khamenei, has said, "When there is an absence of Iranian supply, oil prices will soar up dramatically and the western countries are well aware of this fact; However, Iran will never allow itself to land in a situation in which it cannot sell oil but other regional states can." It hardly needs saying that such a firm stance on the part of Iran has been given considerable thought and that the European Union should be prepared to face the consequences of their irrationality and blind servitude to Washington. Earlier Iran had warned that it would close the Strait of Hormuz, a move which, as the IMF has said, “could trigger a much larger price spike including by limiting offsetting supplies from other producers in the region." The sanctions on Iran oil, which will be effective in July, will surely have drastic repercussions for the European Union as Iran is mulling banning the sale of oil to Europe, a proactive move which will salvage the country's economy on the one hand and will also lead to a drastic hike in oil prices on the other. Undoubtedly, the EU decision to impose sanctions on Iran's oil exports is, as Velayati has said, “a political maneuver," and that “Iran doesn't need any favor from any country to sell its oil, because global demand is always there." In the long run, Western oil firms and consumers may “emerge the biggest losers.” The IMF has predicted that crude oil prices could rise up to 30 percent namely to over USD 140 per barrel if Iran ever decided to retaliate by halting its oil exports altogether. Saudi Arabia has vowed to fill the gap. But what if Saudi Arabia is bluffing? What if she cannot make up for the supply deficiency? At all events, oil is fungible and Iran will easily find its own customers in Asian markets. Europe has seen better days and now is not surely the best time for the imposition of sanctions on Iran's oil as they will suffer most. For some European countries such as Italy, Spain and Greece, it will not be really easy to participate in the ban on Iran oil as they largely rely on Iran imports. As for Greece which is receiving oil from Iran on credit, it will be an utterly wrong decision to join other European countries which have secret plans to disintegrate the country. Much to the chagrin of Washington and the Zionist regime, a number of countries such as China, India, Russia, Turkey, Japan, and South Korea have already refused to abide by the new measures. Russia has slammed the new package of sanctions and in a tough-worded statement, the Russian Foreign Ministry described the EU move as “deeply erroneous." “Under such kind of pressure Iran will make no concessions and no correction of its policy,” it said. Foreign Minister Sergei Lavrov told reporters that there was nothing to prove that Iran was trying to build an atomic weapon. Russia has also warned the West against a US-led invasion of Iran, saying that this would incur a chain reaction and that the catastrophic consequences will affect the entire region. It is manifest that Iran will do without the EU and will find its customers elsewhere in Asian markets. In other words, Iran will not lose in the passive war of sanctions engineered by Washington. Indeed, sanctions are to be seen as part of Washington's policy of coercion to break the back of the Iranian government and bring the nation to its knees. However, it should be noted that Iran has been mercilessly under severe sanctions for over 30 years and that it has turned the sanctions into opportunities to attain self-sufficiency and stand on its feet again. The entire gamut of the sanctions designed and spurred by the US and now followed by the EU is also tailored to suit the interests of Israel, the archenemy of Iran and thus the bosom buddy of Washington. Ever since its inception, the Islamic Republic has been the target of Washington's inveterate animosity. In his book Spider's Web: The Secret History of How the White House Illegally Armed Iraq (1993), Alan Friedman reveals how the US government aided the regime of the executed dictator Saddam Hussein in his invasion of Iran. Ironically, the once good pal of the United States suddenly turned into a parasite to be eliminated from the face of the earth. 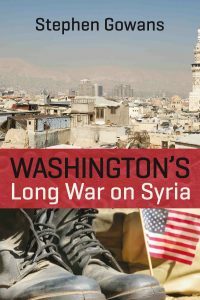 According to Friedman, Washington generously doled out its assistance in various forms to Iraq including billions of dollars worth of economic aid, the sale of dual-use technology, non-US arms, military intelligence, Special Operations training, and active participation in war against Iran. An Atlanta branch of Italy's largest bank, Banca Nazionale del Lavoro funneled over USD 5 billion to Iraq from 1985 to 1989. This piece of information had been concealed by the CIA. An appalling report revealed that the US government provided Saddam's regime with chemical weapons. Released on May 25, 1994 by the US Senate Banking Committee, the report detailed the export of pathogenic ('disease producing'), toxigenic ('poisonous'), and other biological materials to Iraq after licensing by the US Department of Commerce. The report revealed 70 shipments (including Bacillus anthracis) from the US to Iraq over a span of three years. The Iraqi regime used the chemical weapons provided by the US against the Iranian combatants and civilians, thus leaving them in a life-in-death situation. Around 100,000 Iranians were affected by nerve and mustard gases, and around one in 10 died before receiving any medical treatment. 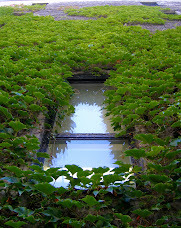 About five to six thousand are still under medical treatment, of whom around a thousand are critically ill. The Iranian chemical victims are still dying on a daily basis. So, Washington's enmity towards the Islamic Republic goes far beyond its peaceful nuclear program which has constantly been used as a political leverage to stunt the economic and political growth of an anti-imperialism state and prevent the emergence of a Muslim superpower. The depiction of Iran as a nuclear nightmare and as a global threat is only a saga manufactured by Washington in order to smother a voice so overpoweringly critical of the myriad morbid policies of a government whose American dream is dead and gone. -- Dr. Ismail Salami is an Iranian writer, Middle East expert, Iranologist and lexicographer. 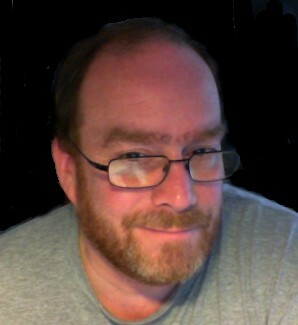 He writes extensively on the US and Middle East issues and his articles have been translated into a number of languages. 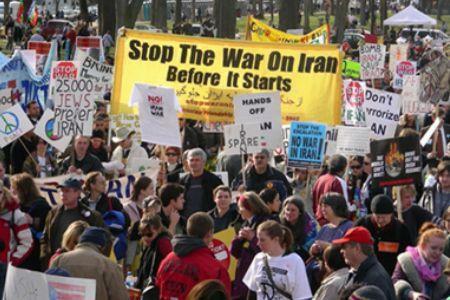 Britain's Stop the War Coalition has organized a protest rally in front of the US embassy in London on Saturday 28 January to stress opposition to an invasion on Iran. Israeli regime is talking more and more of an attack to 'deal with' Iran's nuclear capability, even though it is the only entity in the Middle East that actually has developed nuclear weapons, the coalition noted in its statement. “Following a year when Britain and France led the intervention in Libya the dangers of further western attacks in the region are very real. Under the guise of 'humanitarian intervention' there are already signs of covert intervention in both Iran and Syria. An attack on either country would set the Middle East on fire. Now is the time to start building opposition to these new wars. Join with us to say no to western intervention”, added the statement. 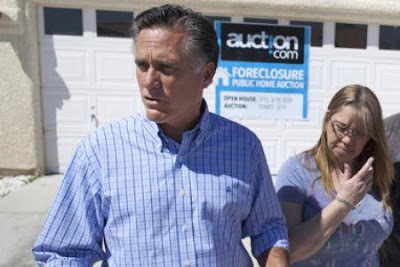 Republican presidential candidate Mitt Romney and his wife, Ann, saw profits by sinking millions into a Goldman Sachs fund that invested in mortgage-backed obligations, which were owned by lenders who foreclosed on thousands of Floridians. By examining the candidate's May 2011 financial disclosure forms, Think Progress determined that Romney and his wife invested at least $2 million in the Goldman Sachs Strategic Income Fund (institutional class). In 2011, about 24.5 percent of that fund was invested in mortgage-backed obligations. Another 8 percent was invested in banks. An examination of civil cases filed in Miami-Dade county alone, by just the current owners of the mortgage obligations for now-defunct Washington Mutual and Countrywide, suggests more than 5,000 foreclosure cases were filed in 2010. German Chancellor Angela Merkel gestures during the opening session of the World Economic Forum annual meeting in Davos, Switzerland on January 25, 2012. German Chancellor Angela Merkel has refused to increase the eurozone's rescue fund, stressing that the key to reassure European markets is to restore lost confidence in the EU governments' policies. Merkel told the World Economic Forum in Davos, Switzerland on Wednesday that a 'big rethink' was required for the 17-nation zone to act well within the global economy. The comments come as the International Monetary Fund (IMF) Managing Director, Christine Lagarde has called for the eurozone financial firewall to be reinforced by combining the European Financial Stability Fund and the European Stability Mechanism. The IMF wants the sum available for eurozone bailouts to grow beyond EUR 500 billion (USD 647 billion). "Now they say... 'it should be twice as big'," Merkel said. “'If it were twice as big, we'd believe you'. Some say 'it should even be three times as big, then we'd really believe you.' 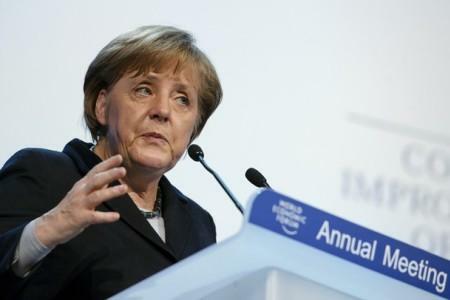 And I always ask myself how long is that credible and when is that no longer credible,” the German chancellor added. In its recently published report, 'World economic outlook,' the IMF said it was expecting a recession for the euro countries as they were struggling to overcome their debt crisis. There are fears that more delays in resolving the eurozone debt crisis, which began in Greece in late 2009 and infected Italy, Spain, and France last year, could push not only Europe, but also much of the rest of the developed world back into recession. 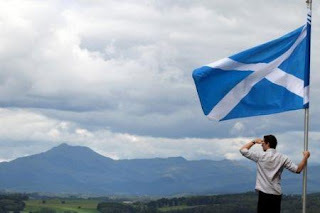 Scotland's First Minister has addressed the Scottish parliament on independence from the United Kingdom, stressing he will give people a "straightforward" and "clear" choice in the referendum. Stating that the vote will be held in autumn 2014, Salmond said the question was “Do you agree that Scotland should be an independent country?" He told the MSPs that the vote should “meet the highest standards of fairness, transparency and propriety.” The SNP leader also said that the government would appoint the Electoral Commission to regulate the referendum. Salmond also said eligibility to vote would be determined by residency, adding, "The people who live and work in Scotland are best placed to decide its future." Yet he set out plans to extend the franchise to 16 year olds. Saying, "It is right that our young people should have the chance to play their part in decisions about their community and their country." First Minister also announced that independent Scotland would have the Queen as head of state, but would do away with the nuclear weapons and would not be forced to deploy soldiers abroad. UK Prime Minister David Cameron and leaders of main parties in Westminster, who fear staging the vote would secure the split of the UK, called on the SNP government to conduct a vote sooner rather than later. Argentina's President Cristina Kirchner has criticized British Prime Minister David Cameron for what she called Britain's efforts to portray her country as "violent" over the occupied Falkland Islands. "They are trying to paint us as bad guys, or violent guys and really, that is not who we are," Kirchner said in a speech on Wednesday after about three weeks of medical leave for thyroid surgery. 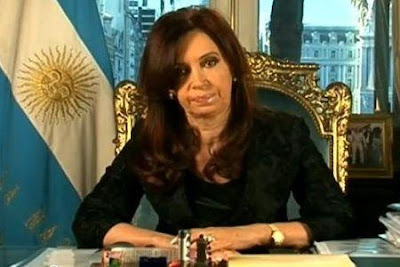 “The United Nations Committee on Decolonization has 16 cases open on places that remain colonies, of which 10 are British colonies, and one of the best known is our beloved Malvinas islands," Kirchner stressed. She said her country would keep using diplomacy to reclaim control over the islands. “Our armed forces only take part in peacekeeping missions. And that is a political decision of democratic governments since 1983," said the Argentine president. Tensions between the two counties have escalated since 2010 when London authorized oil prospecting around the islands. Meanwhile, Argentine protesters marched on the British embassy in Buenos Aires on Friday as the 30th anniversary of the 74-day Argentina-Britain war over Malvinas nears. Malvinas, located about 250 nautical miles from Argentina, has been occupied by the British for over 180 years. However, Argentina claims sovereignty over the territory as it controlled the islands prior to its colonization by the British. 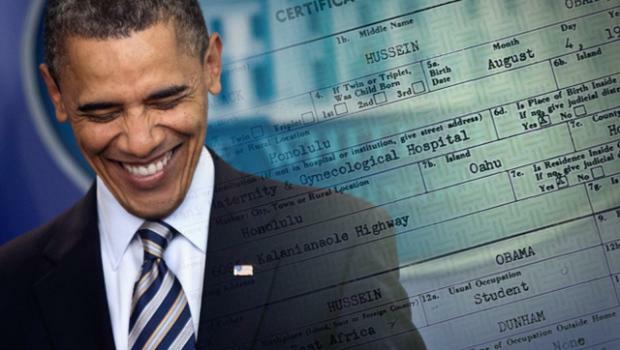 A US court has tossed out a lawsuit challenging President Barack Hussein Obama's US citizenship and his eligibility to serve as president. After nearly a full-term in office, US President Barack Obama's eligibility for presidency is being challenged as an Atlanta court has summoned him. A Georgia judge has ordered President Obama to appear in court on Thursday for a hearing on a complaint that says Obama cannot be president as he is not a natural-born US citizen. It is, however, unclear whether a court could force a sitting president to appear in court. 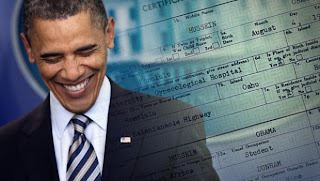 California attorney Orly Taitz has filed the lawsuit which is challenging the presence of Obama's name on the March presidential primary ballot. Taitz says she has been working on the case over the last three years. Taitz's lawsuit is one of many such lawsuits filed nationwide against the president. Yet Obama campaign officials say such claims have no merit. The Georgia judge has denied a motion by Obama's lawyer to nullify a subpoena that requires Obama to show up. The allegations against Obama come as primaries and caucuses are scheduled to be held over the next few months in every US state to vote on the Republican Party competitors before a final nominee is elected at the party convention in August to challenge President Obama in the 2012 elections. US President Barack Obama delivers his State of the Union address before a joint session of Congress on January 24, 2012 in Washington, DC. 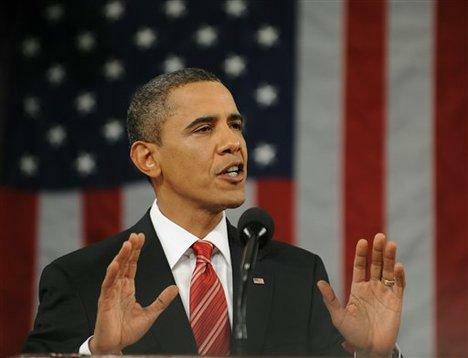 US President Barack Obama has stressed Washington's military collaboration with Israel in his State of the Union address. Obama's comments come amid repeated threats from the United States and Israel of the "option" of a military strike against Tehran based on the allegation, championed by Washington, Tel Aviv, and their allies, that Iran's nuclear activities may consist of a covert military agenda. Iran has refuted the allegations, saying as a signatory to the nuclear Non-Proliferation Treaty and a member of the International Atomic Energy Agency, it has the right to develop and acquire nuclear technology for peaceful purposes. Amid the harshly-toned and increasing Western allegations against Iran, analysts have questioned the West's continued refusal to consider Israel's aggressive military agenda to be a threat against Iran. Iranian officials have reacted strongly to the American and Israeli war rhetoric, saying that the Islamic Republic will deliver a crushing response to any military strike against the country. Russia has once again expressed opposition to any United Nation's resolution that would justify sanctions or the use of force against Syria. Addressing a news conference after a meeting with his Turkish counterpart, the Russian Foreign Minister Sergei Lavrov on Wednesday warned against any military intervention in Syria, adding that his country believes dialogue is the only way to end months of unrest in the country. "We support, as a point of principle, an inclusive dialogue among all sides of Syrian society without pre-conditions, on the assumption that all participants in such a dialogue will be guided by the idea of reaching agreement and will show responsibility for the fate of their country and their people," Lavrov said in Moscow. Lavrov also said Moscow will not support unilateral sanctions against Syria, which were announced without any consultation with Russia and China, criticizing Western powers for seeking the UN "post facto" approval for their "unilateral" actions against Syria. The top Russian diplomat, however, said his country, a veto-wielding permanent member of the UN Security Council, will consider "constructive proposals" aimed at ending the ten months of violence in Syria. 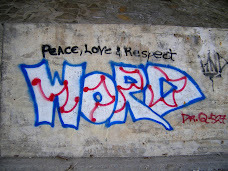 "We are open to constructive proposals that go in line with the set task of ending violence," Lavrov said. Russia has also rejected a recent call by the Arab League for Syrian President Bashar al-Assad to step down. Syria has been experiencing unrest since mid-March. 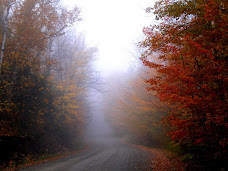 Many people have lost their lives in the country over the past ten months. Damascus says over 2,000 security forces have been killed in the unrest. The West and the Syrian opposition accuse the government of killing protesters but Damascus blames ''outlaws, saboteurs and armed terrorist groups'' for the unrest, insisting that it is being orchestrated from abroad.